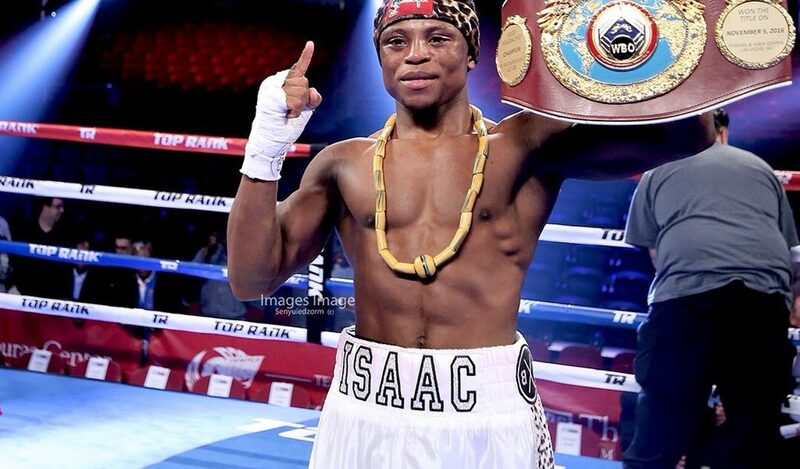 This was supposed to be one of Isaac Dogboe’s biggest weeks, a week during which the boxing world, and a Ghanaian public consumed by affection for boxing, were put on notice that he will be their torch bearer on the international stage for time to come. And yet, it has felt nothing like that. The build-up to his fight against Hidenori Otake has been lowkey in Ghana, there has been little buzz apart from a few television reports, and Dogboe himself playing chief hype man on his own social media feeds. On Saturday, Dogboe will be up against the 37-year-old Japanese fighter in the first defence of his World Boxing Organisation junior featherweight title, at the Gila River Arena in Glendale, Arizona. Dogboe feels this fight will take him to the next level and closer to a dominant figure in the division, but the attention at home hasn’t reflected his assertion, despite the fanfare when he was crowned in April. In a country consumed by boxing passion, Dogboe’s annexation of the world title four months ago triggered widespread national delight. Azumah Nelson, the greatest boxer to have come out of Ghana, declared Dogboe the man to make Ghana boxing great again. The president of the Ghana Boxing Authority, Peter Zwennes, used it to take a few shots at government for a lack of investment in boxing. 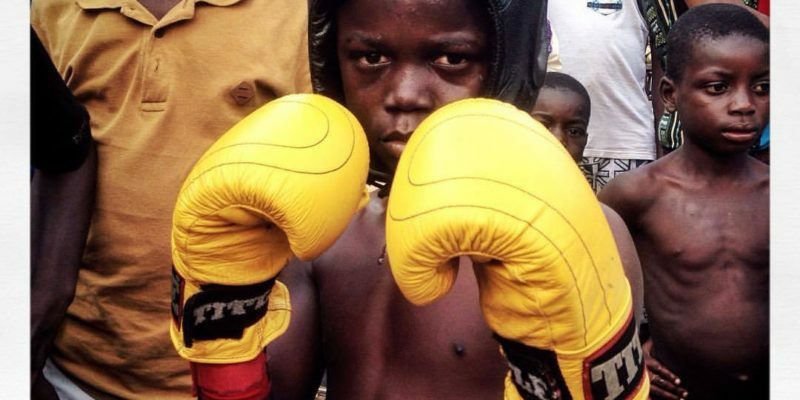 It was a triumph that made boxing top sporting priority in Ghana, but that fervour didn’t last. Part of his lack of mainstream appeal could be explained by Dogboe’s background. 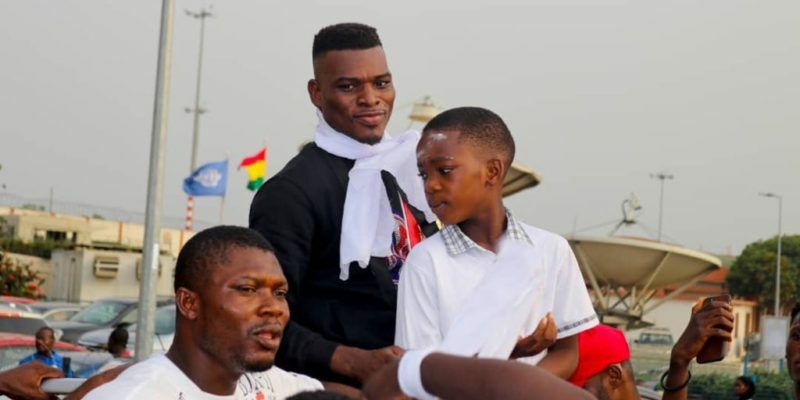 The 23-year-old was born in Ghana, then educated in England before returning home with his father to stake his claim in a boxing field dominated young men for whom the sport is not just a means of passing time, it is a way of life. In that sense, for the Ghanaian boxing community, Dogboe has never really been considered one of them. 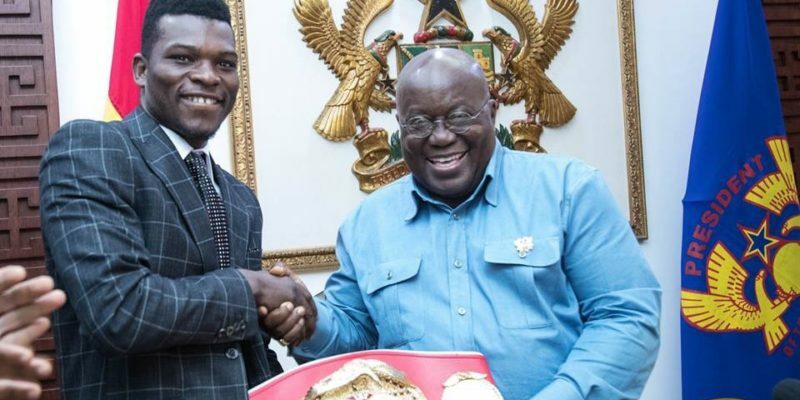 He didn’t box with them on the streets of Bukom, didn’t sweat it out with them in those makeshift gyms, and lacks, for many of those fans, the legitimacy that emerging from Bukom brings. Ghana’s previous boxing world champions have almost exclusively honed their skills, and developed their fanbase, from within Bukom, a small boxing-mad suburb of Accra that gave the world Nelson and former WBA Welterweight champion Ike ‘Bazooka’ Quartey. Dogboe’s mass appeal has also not been helped by what’s effectively been a television blackout of his world title triumph against Jessie Magdaleno in April, as no local station had the rights. As he fought his way into local boxing history, there were a few Ghanaians monitoring it via streaming services and various social media accounts but that was about it. Very few Ghanaians have seen the amount of work he’s put in to become a boxing world champion, a sharp contrast to how the whole country stayed awake in the 90s to watch Azumah’s big nights and Quartey’s exploits. Dogboe is work in progress. His bravery in the ring has already won him many fans and his ability to talk a good talk, alongside a squeaky clean public image, suggest he could appeal to those who are not already boxing fans. But nothing wins over more fans than delivering the W, and if Dogboe puts in another solid display against Otake and retains his belt, he won’t just be enhancing his reputation among international boxing fans, he will be winning the battle to become a memorable name in Ghana.